Master Foodwaste Disposers are the workhorse of the disposer field. 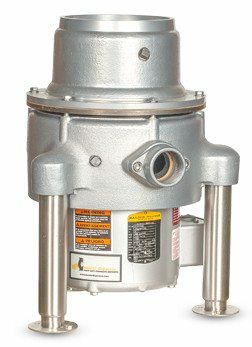 With tough powder coated castings, “severe-duty” motors and bulletproof design, Master Disposers are made to last, providing trouble-free waste removal year after year. Auto-reversing panels within the disposer units double the life of wearing parts, and help to free obstructions automatically. Master Disposers have a notable history of quality engineering, quality components and quality personnel to deliver the most robust severe-duty disposer on the market. Our models are designed to match specific waste types and volume needs, and we offer control panels that will meet any installation specification. Click on a button below to view the document.